I don't know what I was thinking, planting so much summer squash this year, but the reliably prolific vegetables are about the only thing that's doing well in this cool, wet, sorry excuse for a summer. 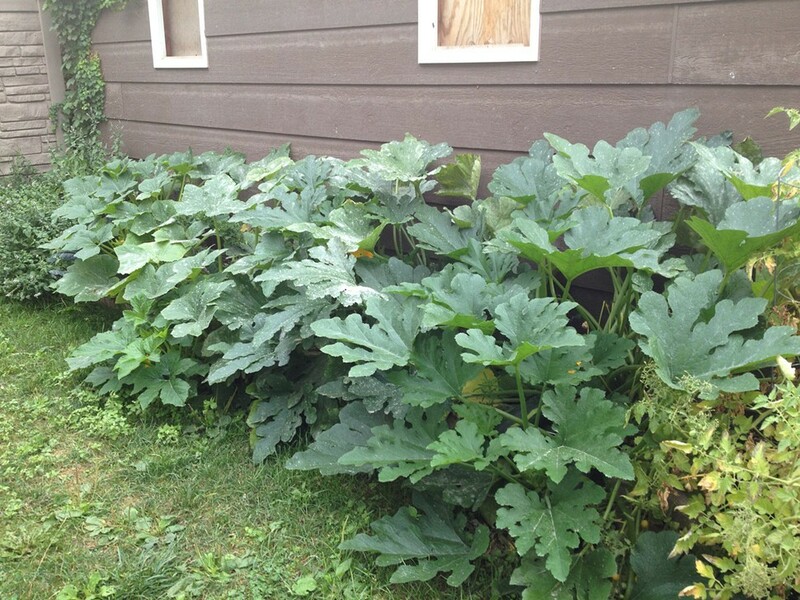 I can see the vines stretch forward hungrily every time the neighbor's kids venture into the backyard, and a bunch of Papua New Guinean yam cultists have begun holding midnight rites before the titanic zucchinis and yellow squashes I've ignored on the ground. The only upside are the sunbursts of blossoms hidden under the canopy of big green leaves that are shading out my collards and kale. My landlady's cleaning lady has been collecting them for quesadillas, and I thought I should get something out of this increasingly dangerous situation before it was too late. Don't go into the squash jungle lightly. You may never return. 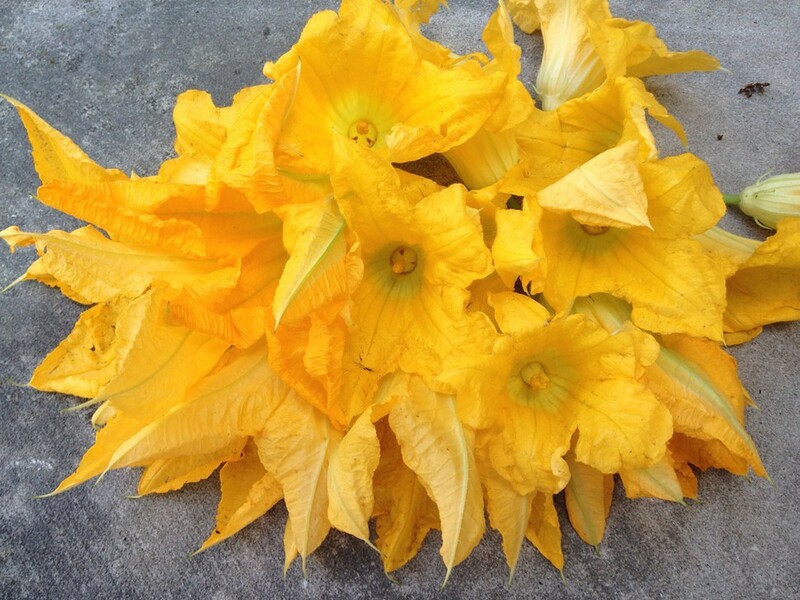 Pick about two dozen blossoms (or buy some at your farmers' market). Peel the green, spiny sepals off the exterior base of the blossom. Chop the flowers up. 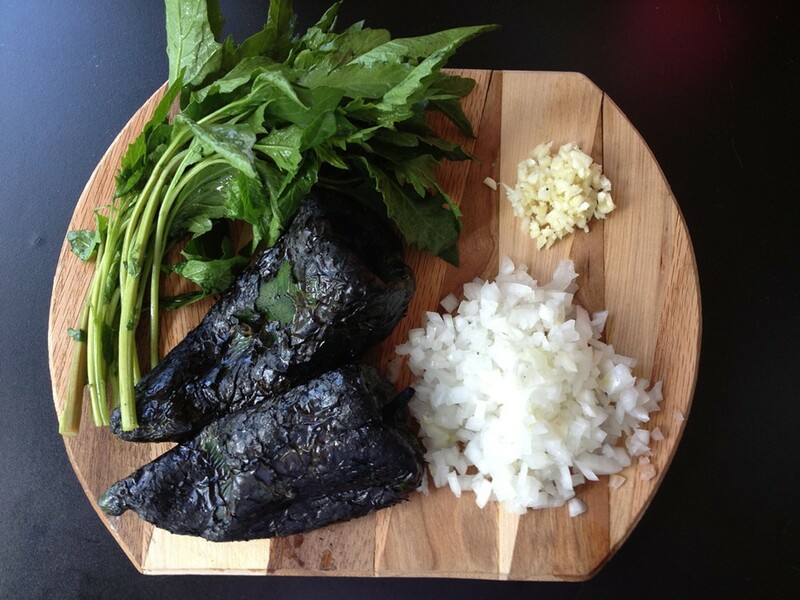 Chop up some garlic, white onion, epazote, and char, peel, seed, and dice two poblano peppers. 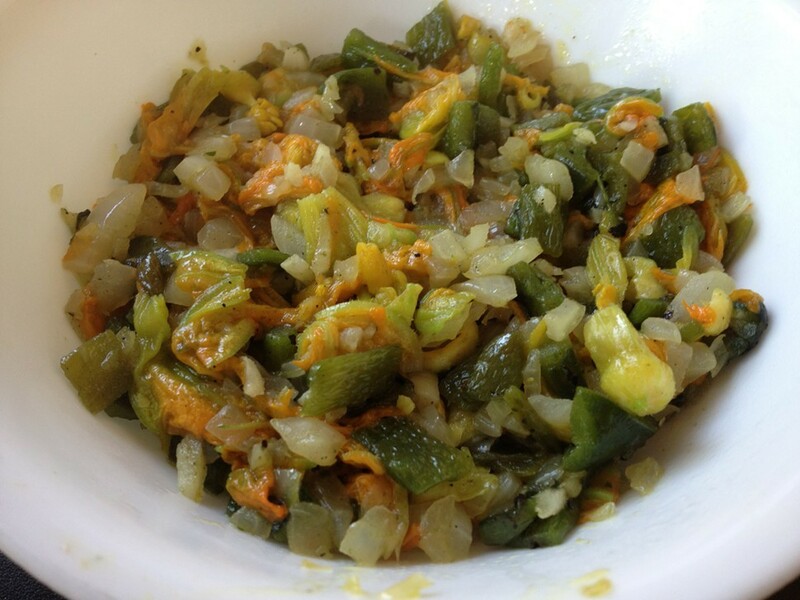 Saute the onion and garlic in olive oil until soft, then saute the blossoms until wilted. Start warming a tortilla on a skillet. 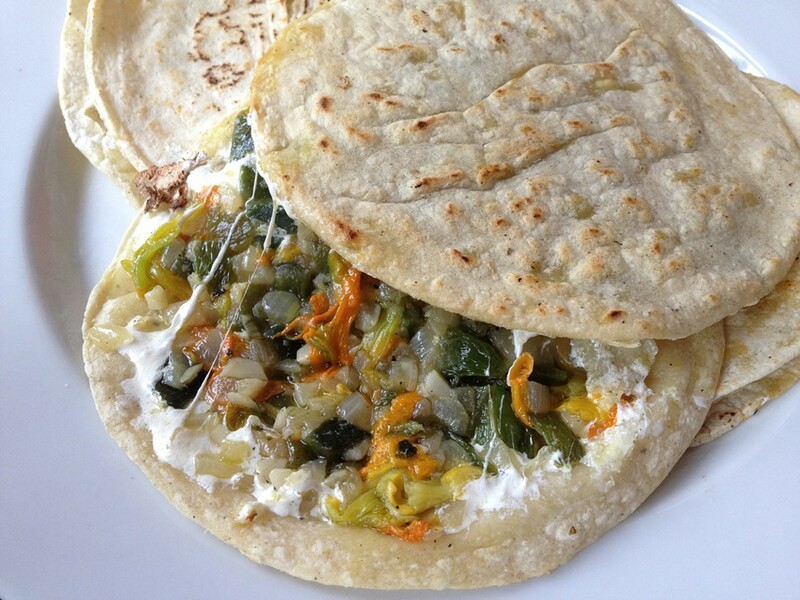 Add some shredded Oaxaca cheese and top with your sauteed blossom mixture. Top it with another tortilla, flip, and cook until the cheese inside is gooey.